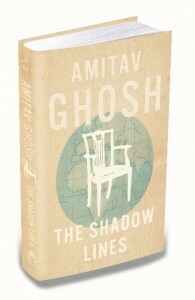 Penguin India is issuing a special collectors’ edition of ‘The Shadow Lines’ to mark the 25th anniversary of the book’s publication. The edition will have a print run of 500 numbered copies. 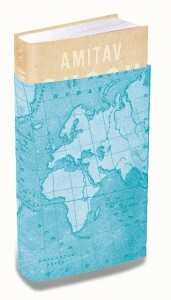 It is to be published on high quality paper, and will come with a ribbon book mark and a slip cover. I will sign every copy and add a personalized note. More on this at this link. And the book can be ordered here. I just finished reading River of Smoke, and I felt compelled to tell you what a wonderful, delightful book it is. I am a Parsi myself, and truly enjoyed the story of Behram Moddie, the Anahita, and the numerous characters who inhabited that world. You have truly brought another era to life. It is very rare to read about us Parsis in such an authentic manner. The way Behram spoke, the food he ate, his religion. rituals and life-story are so fantastically portrayed. The other characters of the book are equally engrossing, but this one really stood out, and cannot be easily forgotten. I have read almost all your books, and my favourites would be River of Smoke and The Glass Palace. I eagerly await your third book.